The pictures are of one our personal favorite stones called Black Marinace. 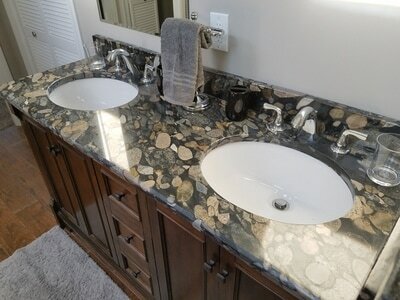 These slabs are mined directly out of ancient river beds. This gives the stone the rocky look to it. 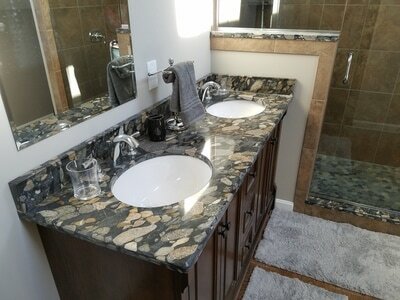 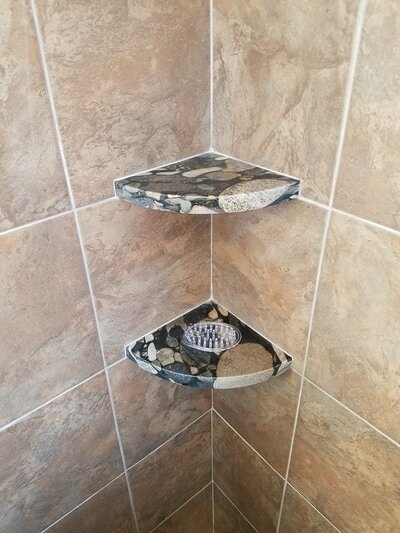 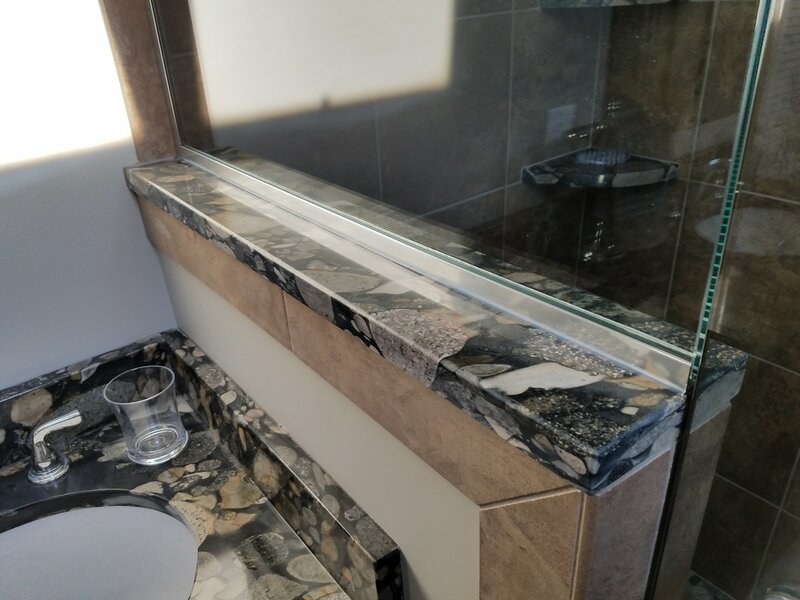 This bathroom is a great example of how a single stone can be used to bring an entire room together. 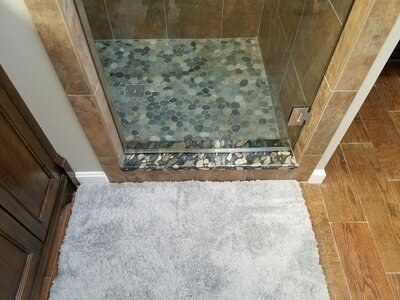 Note how we used the black marinace for the countertop, shower threshold, half wall and shower shelves!